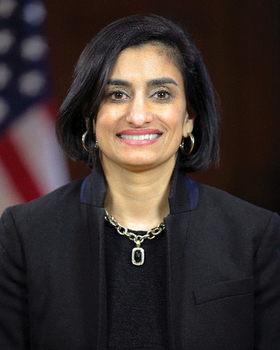 Verma has helped craft conserative-friendly Medicaid overhauls. This may be the week Republicans start putting policy details behind their rhetoric on repeal and replacement of the Affordable Care Act. Newly confirmed HHS Secretary Dr. Tom Price, who has strong ideas on shaping a conservative new system, is expected to take rapid steps to stabilize the individual insurance market and roll back some ACA rules. One likely move is allowing insurers to sell cheaper plans with leaner benefits. President Donald Trump and some congressional Republicans also are looking to him to lead the effort to craft an ACA replacement package. On Thursday, the Senate Finance Committee is scheduled to hold a confirmation hearing for Medicaid consultant Seema Verma, whom President Donald Trump nominated as CMS administrator. While she has no Medicare experience, she helped Indiana, Iowa, Kentucky and Ohio develop conservative models for Medicaid expansion. Those plans featured premium payments, work search requirements, health savings accounts, and lock-out periods for nonpayment of premiums. It's widely expected that the CMS under her leadership would greenlight similar Medicaid waiver proposals from other GOP-led states. Patient advocates say that while they oppose many of these features, Verma's approach offers a politically palatable path for conservative states to move forward with coverage expansion. It's also possible Verma may push back on a wholesale repeal and replace of the ACA. Some believe she will seek replacement insurance for the estimated 12 million people who gained coverage through Medicaid expansion provisions in the ACA. But much depends on whether Price and congressional Republicans move forward with plans to repeal the Medicaid expansion and cap federal Medicaid spending.